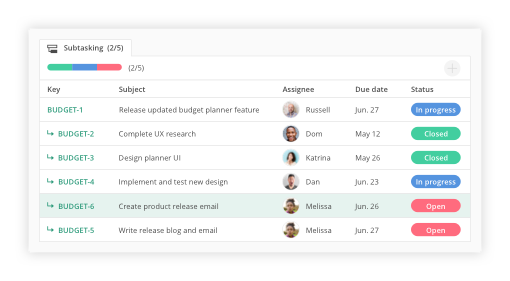 Get more done with Backlog—task management software that lets you organize, discuss, and track work all in one place. 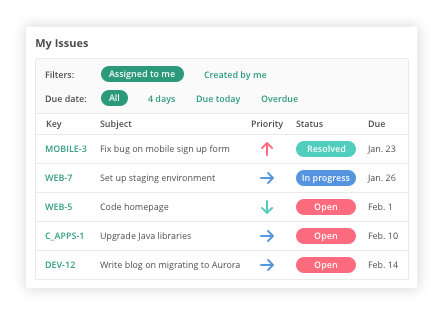 Get a clear view of all your tasks in one place. See what’s due today, which tasks are falling behind, and what you’ll need to work on next. 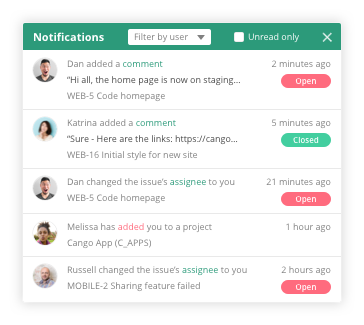 Get notified on project and issue activity. See when a new issue has been assigned to you, when you’ve been mentioned in a comment, have a new pull request, and more. 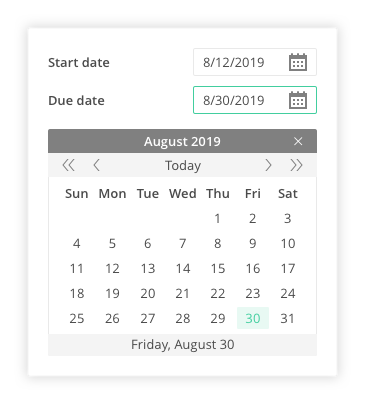 Set issue due dates in Backlog to track, review, and inform team members of deadlines. Start and due dates keep your project’s Gantt chart up-to-date and accurate. 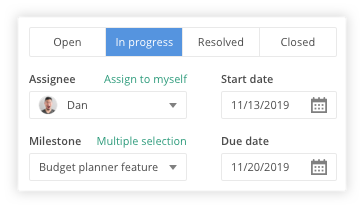 Split up large parent tasks into manageable subtasks. Each subtask can be assigned to a different team member allowing everyone to keep track of what they are responsible for. Always know who’s accountable for which tasks. 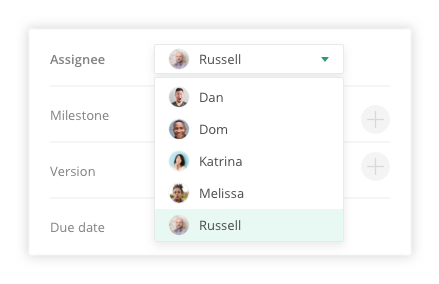 Easily see who's doing what by filtering by assignee and tracking performance. Let team members and clients quickly know the status of an issue. Issues can either by open, in progress, resolved, or closed. Simple statuses for simple issue tracking.